 Brien works with both the general population and athletes in Oakville and the surrounding regions. His specialty is helping people move better to feel better and become the best version of themselves. Fascial Stretch Therapy is a major component in his training programs to bring people back into alignment so they can live pain-free while pursuing their fitness goals. Brien’s approach to performance and wellness is holistic as he considers the body and mind to be intimately related. He has dedicated himself to life-long learning and continues to take his theoretical knowledge into applied practice. Brien believes that effective coaching is dependent on building positive relationships with people in order to facilitate optimal commitment and motivation. Brien began his undergrad at McMaster University as a member of the men’s football team. After his second year, he transferred to Syracuse University where he studied psychology and played for the men’s varsity soccer team on an athletic scholarship. His soccer brought him to Ottawa after graduation to play two seasons for the Ottawa Fury Men’s PDL. He stayed with the club for three more years as the Strength & Conditioning Coach and Sport Psychology Consultant. Spend some time with Brien and you will immediately feel his passion for what he does. He continues to search for the most effective and efficient methods to facilitate the pursuit of performance excellence. Brien prides himself on empowering his clients and encouraging them to embrace a growth mindset towards personal development.